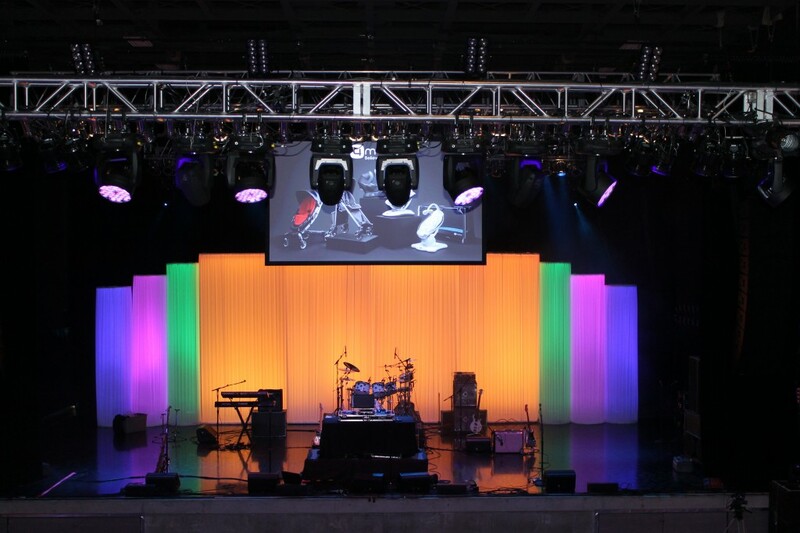 Stage AE on Pittsburgh’s North Side was aglow for a corporate event. The large concert venue was turned into a nightclub! Vignettes of furniture and food displays along with different forms of entertainment kept the guests busy! A great band played on stage in front of a glowing neon backdrop in 4Mom’s colors. There was also an animated slideshow to display their products. 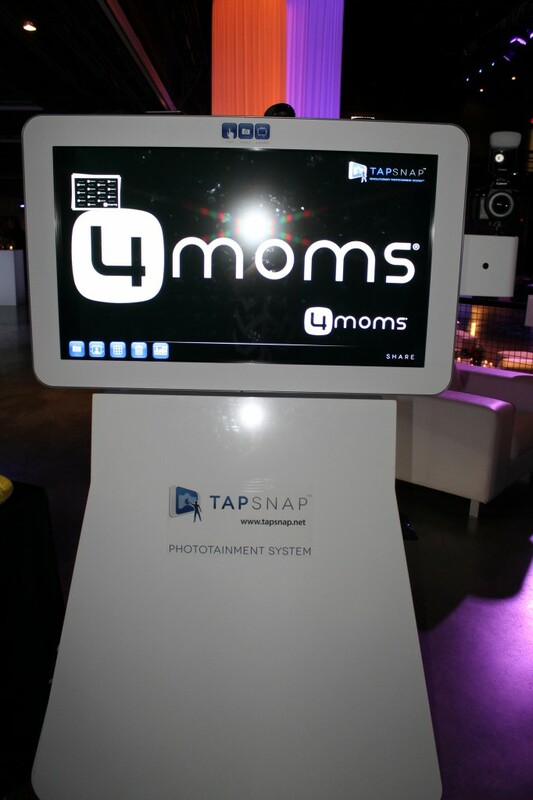 Another fun entertainment option that was available for guests was TapSnap. TapSnap is a unique and innovative photo booth. The interactive screen gave guests options to choose their photo backgrounds as well as print their photo and upload it to various social media channels. TapSnap also offers branding opportunities so it was a great way to incorporate the company’s logo. 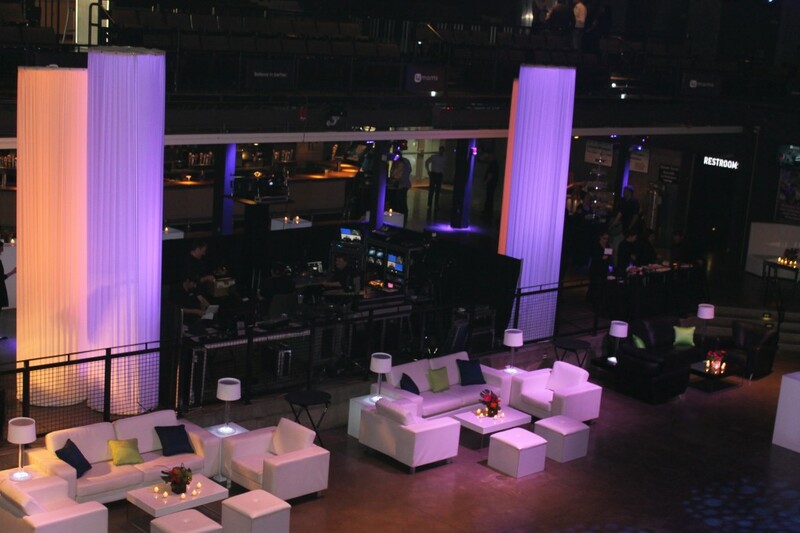 Furniture vignettes were situated all over the dance floor as well as throughout the venue. 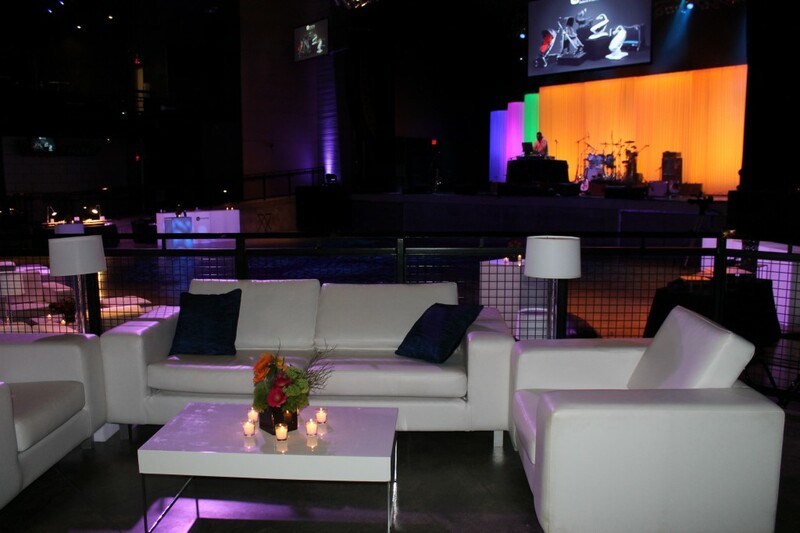 Having an abundance of seating was important so guests could eat, socialize and take a break from dancing! 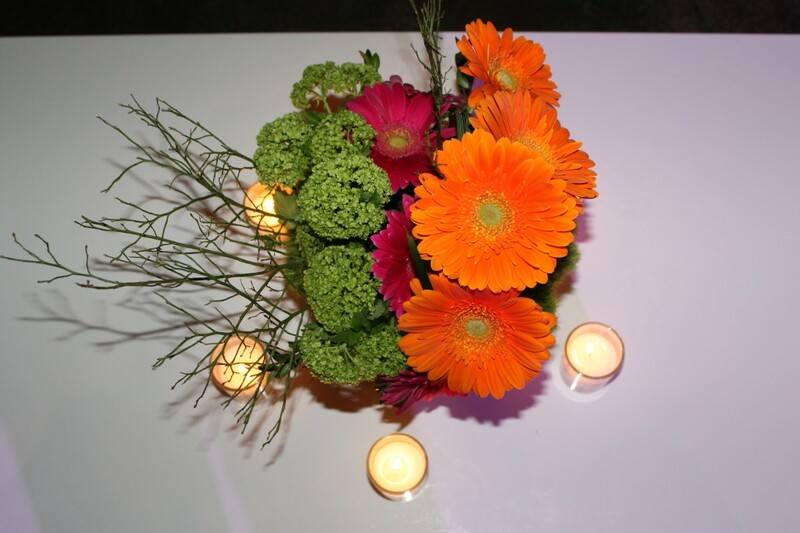 The floral centerpieces on the coffee tables were arranged in 4Mom’s signature colors. The pillows on the furniture lent themselves to 4Mom’s hues, too. This is a great example of event branding without using the company’s logo. 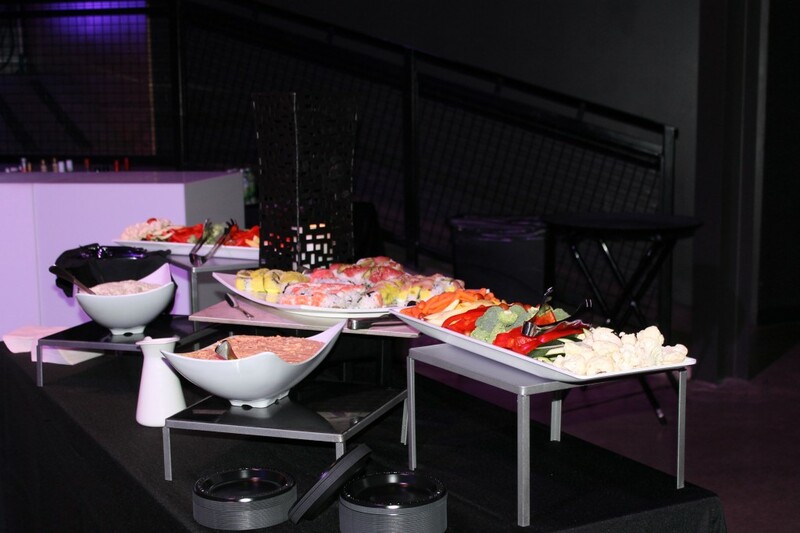 There was an abundance of food to please all guest’s preferences, as well as a liquid nitrogen station where guests could order delicious frozen concoctions. Besides delicious food, there were many specialty drinks for guests to sip on. 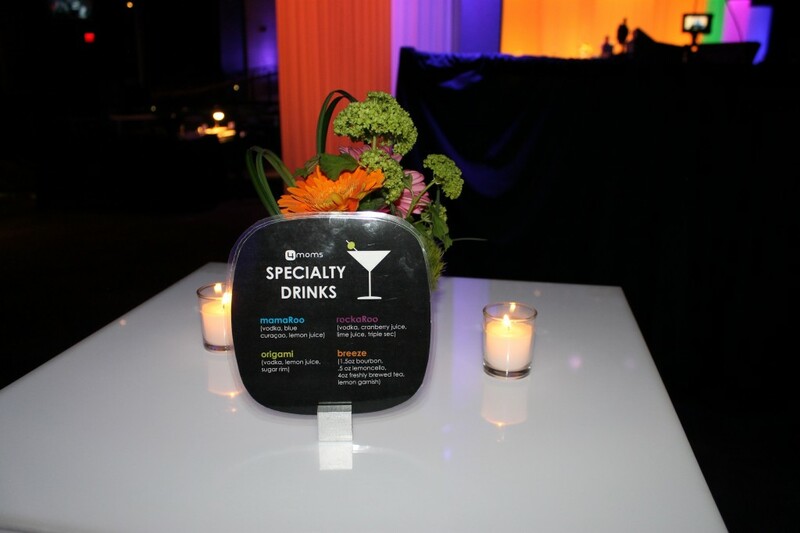 These signs were a great addition to the party atmosphere while also serving the purpose of letting guests know what was in each drink. We had a great time working on this corporate event and enjoyed incorporating the company’s products, logo and colors into the event design. 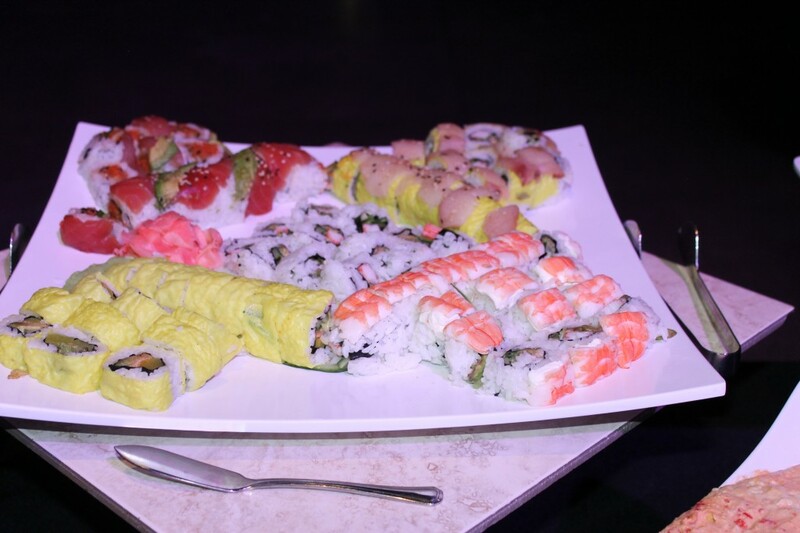 For more corporate events, please check out our gallery.